Jeezbus. Frame by frame cleanup. Thank god I don't have to let cels dry on racks tho. Let's hear it for computers! 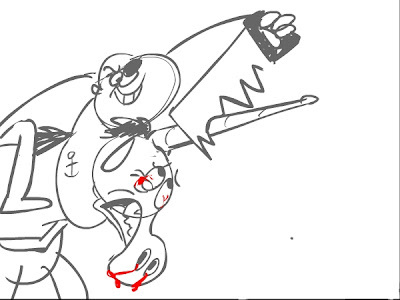 The animatic is currently 6 minutes long. I don't expect to finish this for maybe a year. Longer if I get busy with a job. Eep! Maybe I'll drizzle some more stills in... but I don't want to give anything away, dearest audience. 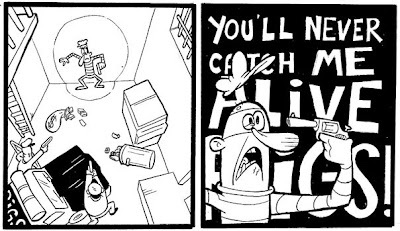 Here's a couple intro panels for a longer comic I'm doing. Just some inks before I go to color.